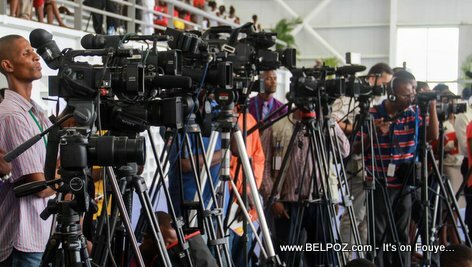 Various Haitian journalists were attacked by street protestors during an opposition manifestation Tuesday, various radio stations reported in Capital Port-au-Prince. A radio Signal FM journalist was attacked, his driver was pulled out of the car and roughed up, the radio station reported, because protestors said his radio station is pro-government. Another vehicle belonging to radio Kiskeya was also attacked by protestors in the commune of Delmas in Capital Port-au-Prince, journalist Liliane Pierre-Paul reported in his after noon news program. Both radio stations condone this act of violence on Haitian journalists. When Aristide came back to Haiti from exile, he said he was going to "work in education" in Haiti.